Visit Mazatlan for the 21st Anniversary of the Mazatlan Marathon, our top-10 rated full marathon and related shorter distance races! Rated one of the 10 best marathons in the world! 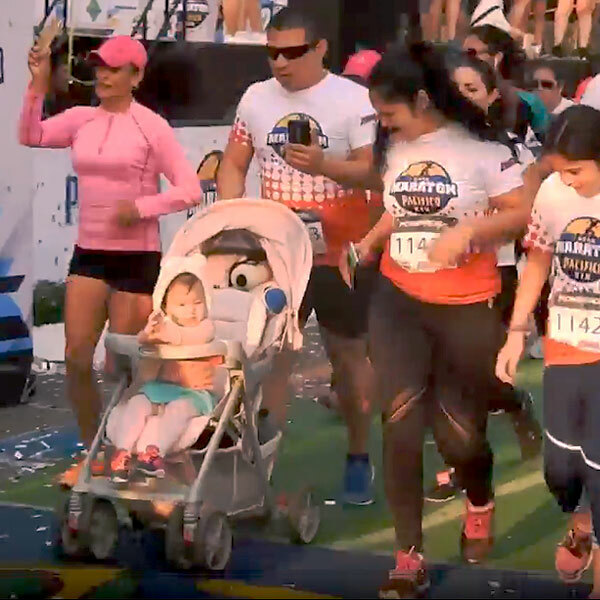 Consistently rated one of the top 10 marathons in the world and celebrating its 20th anniversary this year, Maratón Pacífico Mazatlán has become one of the most important international long distance running events held anywhere. The full and half-marathons are limited to 10,000 participants, but this celebration of running draws many times that number to our port, this year to be held over the December 1-2 weekend. For many participants, the Mazatlan Marathon is the highlight of their running seasons, and a chance to run with some of the world's best. 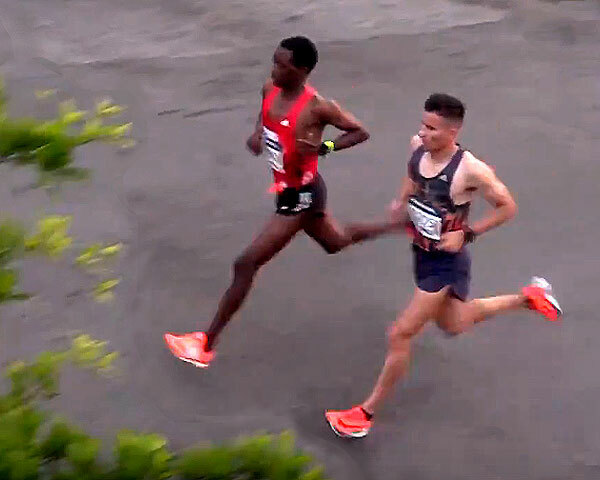 On the professional men's side, the marathon has been owned lock, stock and barrel by runners from Kenya. When we say owned, we mean really owned: Kenyan men have won the last 10 Mazatlan Marathons. In 3 of the last 5 runnings of Gran Maratón Pacífico Mazatlán -- 2013, 2015 and last year, 2017 -- it has been the same Kenyan man, Benjamin Kiplimo Meto, who has taken home the title. Kiplimo is widely regarded as one of the best marathon runners from any country. His personal best of 2:13:45 puts him in extremely rarified running company, and he has clocked some very fast times at shorter distances as well. 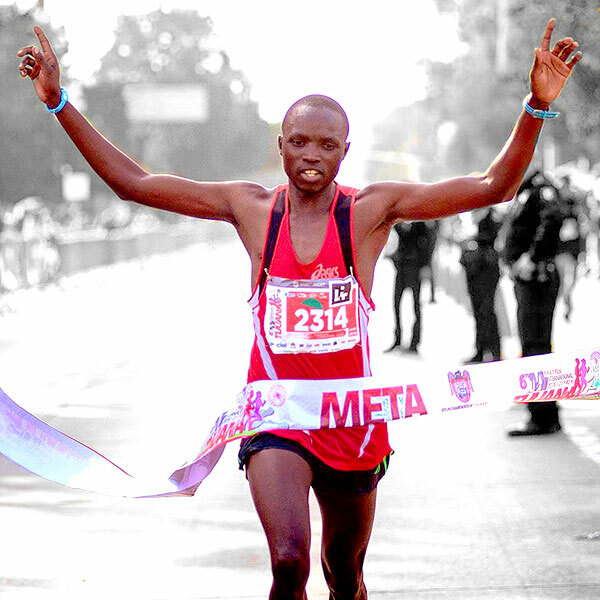 Kiplimo isn't just a winner in our port: he's taken home gold medals all over the world and throughout Mexico, winning major marathons in a number of Mexican cities, including Tijuana in 2014 and just up the road in Culiacan last year. On the women's side, things have been slightly more competitive in terms of the nations where the winners have come from. 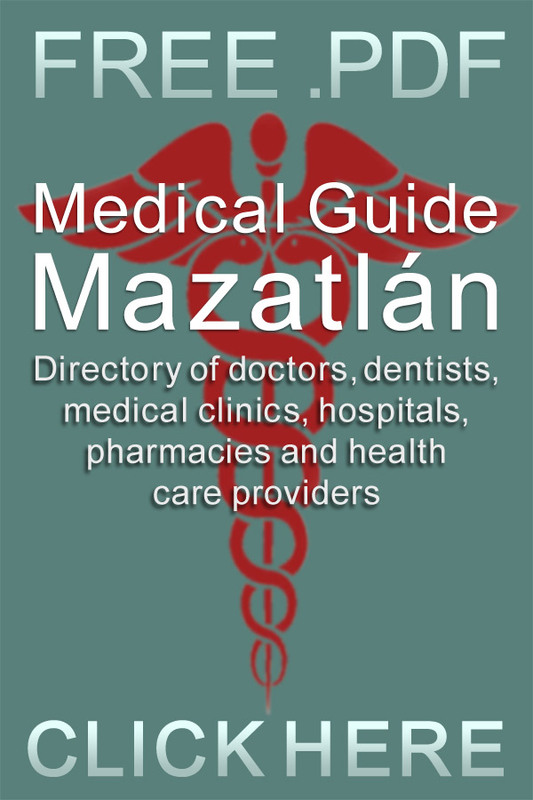 Mexicana Karina Pérez won in 2011 and 2013, American Mary Acor won in 2012 and another Mexican female runner, Misha Ruiz Fernández, won in 2015. Other than those non-Kenyan winners, it's been an all Kenyan scene on the women's side as well for the past decade, most recently Salina Jebitok's solid victory last year at the 2017 marathon. Will Kenyans continue to dominate the Mazatlan Marathon in 2018? Get over to the course on race day and watch the results for yourself! 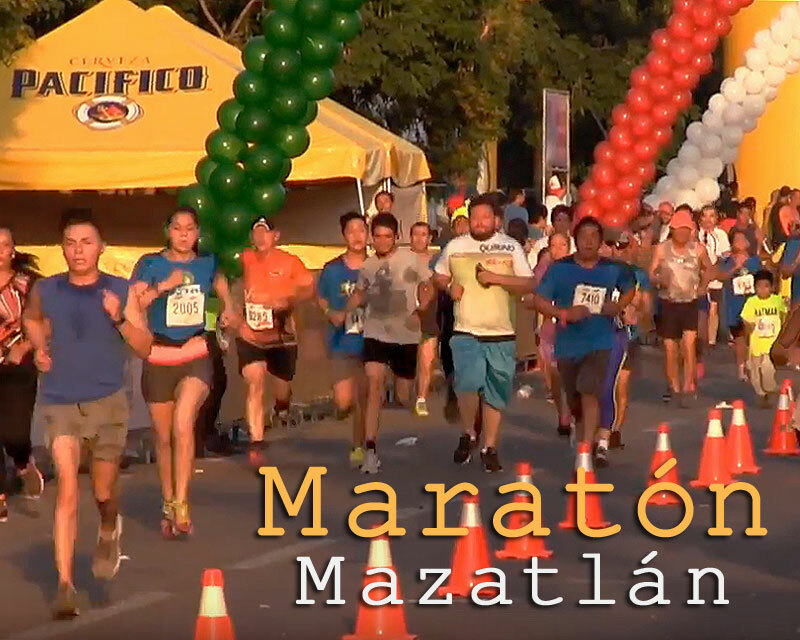 Maratón Pacífico Mazatlán provides a multitude of running events -- and entertainment for everyone! Distances, obviously, grow progressively longer with age. If your runner-children aren't real young, all of the events from the 3K recreational run to the 5K, 10K, half marathon and full marathon are open to both male and female competitors who are over 15 years old on race day. 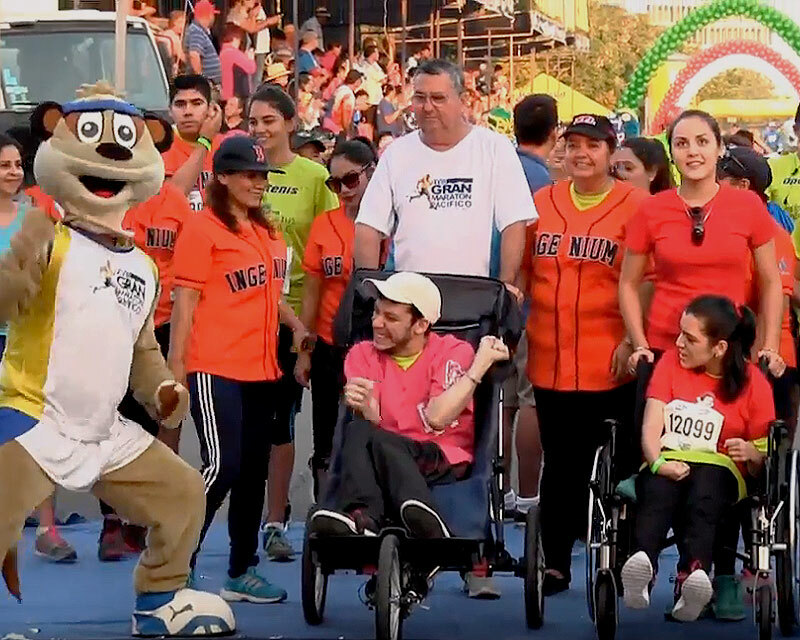 Maratón Pacífico Mazatlán also includes events for athletes with disabilities, allowing the differently-abled to fully experience the marathon. For 20 years, these events have marked the start of both marathon days. Events for differently-abled athletes this year include both a 10K (Saturday) and 21K (Sunday). In addition to these longer events, on Sunday the Mazatlan Marathon also stages a super-fun Run For Fun for children with disabilities. If you're watching the marathon, check out one of these events whether you know a competitor or not: they are an inspiration. 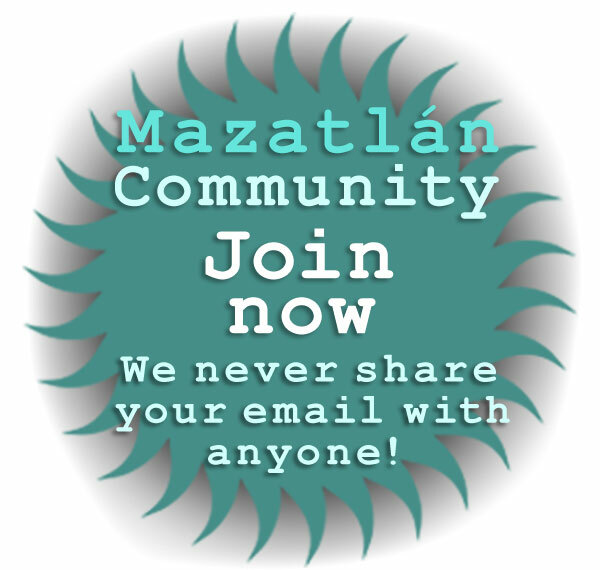 The Mazatlán Marathon is not all about athletics -- far from it! 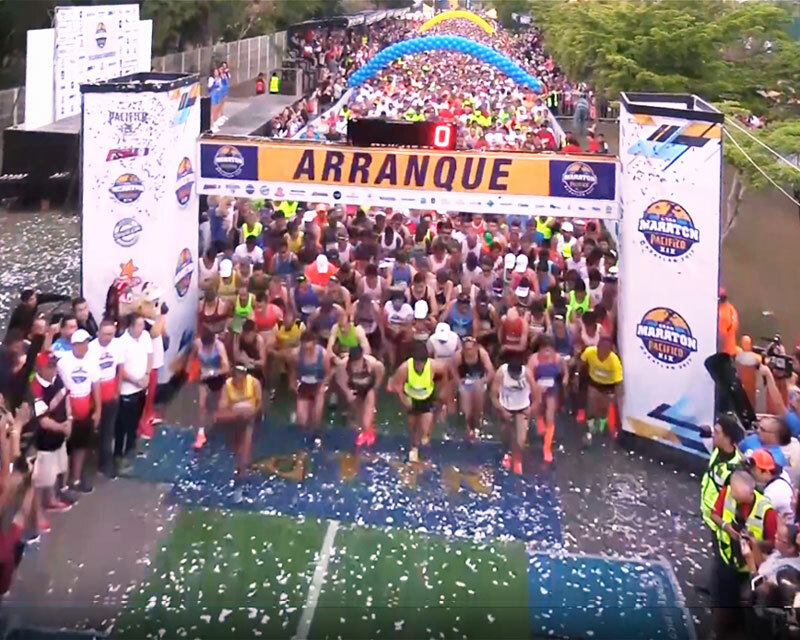 The Mazatlan Marathon is much more than the races: it is a multi-day celebration of Mazatlan, the stage upon which the athletic events are held. And of course, runners and non-participants alike thrill to the Festival de La Luz fireworks display that is mounted in conjunction with the event. 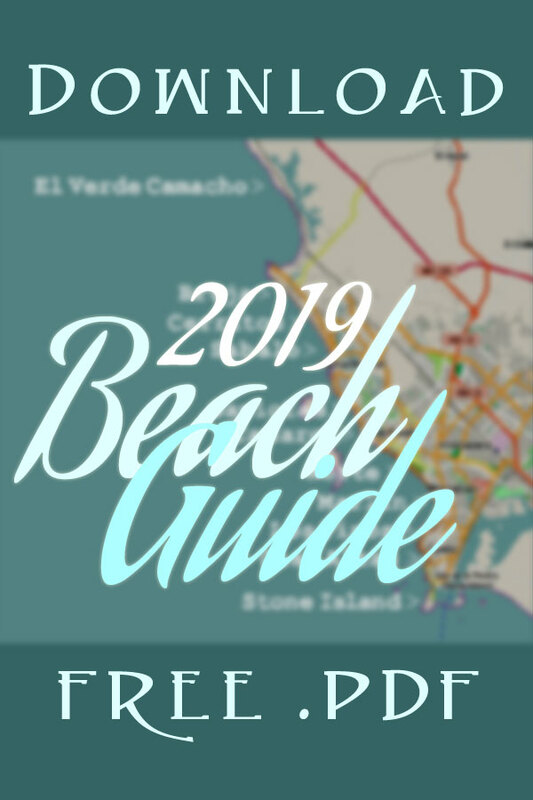 Staged from firing positions along miles of Mazatlan beaches and from offshore, this is a really big fireworks and laser show -- all of which can be viewed from the Malecon, for free! The fireworks show starts at 8pm -- right on time, don't be late. 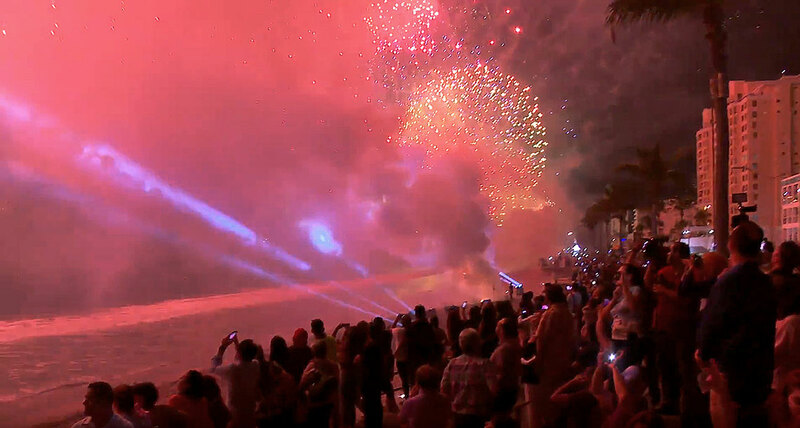 8:00pm Festival de La Luz marathon fireworks! 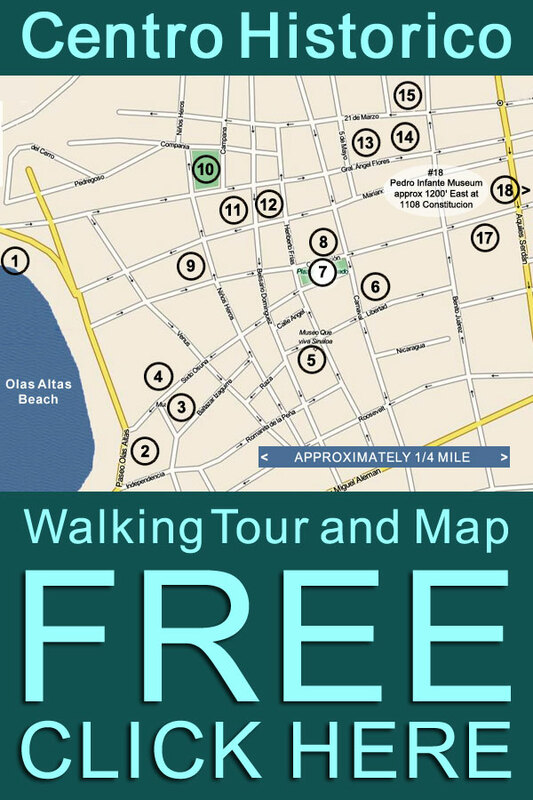 2019 Mazatlan Marathon / 21st anniversary running of the best marathon in the Americas!